Tapas in Spain are one of the best-known customs across the world. 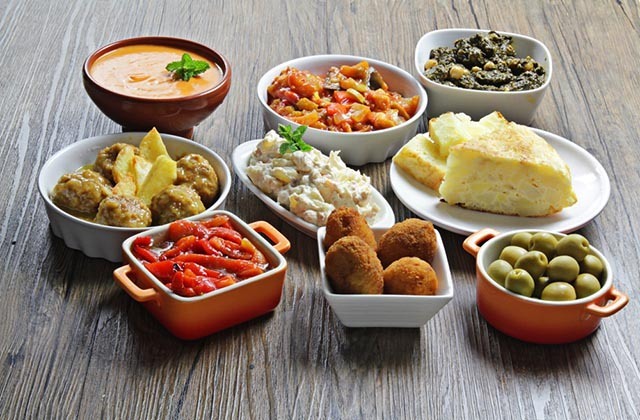 Indeed, the history of tapas in Spain is one of the distinguishing features of Spanish cuisine and no tourist or Spaniard can resist these small bites of Mediterranean gastronomy. There are all kinds of tapas, from a small snack—fried potatoes, nuts or olives—to a true miniature feast. 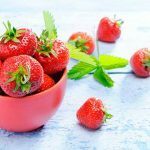 A new verb has come into being over the years: “tapas hopping,” which refers to this way of eating and shows the influence it has had, not only on Spanish cuisine, but also on the dictionary. But, what is considered a tapa? Where does it come from? What was the first one? The history of what is a tapa is extremely interesting, like its varieties and flavours. If you travel to Spain, be sure to go on a “tapas hopping” tour. If you want to taste the best tapas, certainly, your destination is Andalucia. “Small portion of any food that is served as an accompaniment to a drink”, thus this word is defined within the Spanish vocabulary. 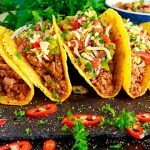 But the tapas are something more than that; they are a way to understand the gastronomy in a particular way and full of feeling, a socializing weapon in bars and a culinary life style. Its origin is really curious and has its historical anecdote in the background. King Alfonso XIII in one of his visits to Cadiz, stopped at the Ventorrillo del Chato (sale that still exists on the beach that bears his name, between Cadiz and St. Fernando) to have a glass of sherry. That day there was a strong wind that lifted the sand of the beach and the waiter, so that no sand would fall into the Royal glass, put a slice of ham on top as a cover. His Majesty asked the reason for this appetizer and the waiter embarrassed explained why he had covered his glass. Alfonso XIII was amused by the initiative of the man from Cadiz and ordered another sherry with a cover to which the members of the Royal Court that accompanied him joined. Since then, the custom of covering the glasses with slices of ham extended, and hence the evolution has given way to the gastronomic phenomenon we know today. 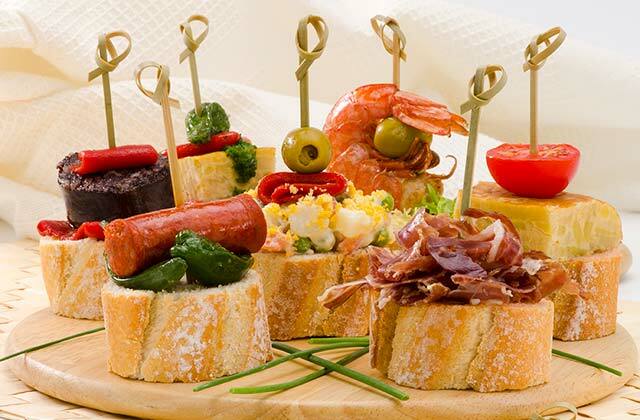 Following the anecdote of the King, the tapas spread throughout Spain and now it was not only about ham, but about other products served in small portions along with the drink, normally, beer or wine. 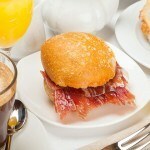 The tapas are free in many locations and in others they are less expensive than food prices. The Spaniards tend to “go out for tapas” often, activity that adds many factors and characteristics that you will only find in this country. It is an effective way of socialization and it distributes the consumption in various establishments. If a group of friends “goes out for tapas”, the usual is that they do not stay in only one bar, but that they try several locations. Every inn has its specialties and if you go one by one consuming the drink and the tapa you end up having dinner or lunch without being in a particular place. An example of ideal city to enjoy these culinary delicacies is Malaga, where its historic center has plenty of inns in it, and where people go about having their tapas. A coming and going of people who give life to the city at the time of a meal. On the other hand, and also in Andalucia, is Granada, which is known worldwide for its tapas. In this land these Spanish appetizers are free and the bars are in competition to see who offers the most complete tapa. 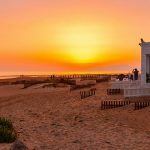 The good Andalucian weather in almost the whole year also makes this activity to be more attractive and the Huelva and Cadiz coast, each in its style, host large small food lovers. Another of the characteristics of going out for tapas is the style when it comes to eating them. Normally if you go out to eat you sit and wait for your dishes. 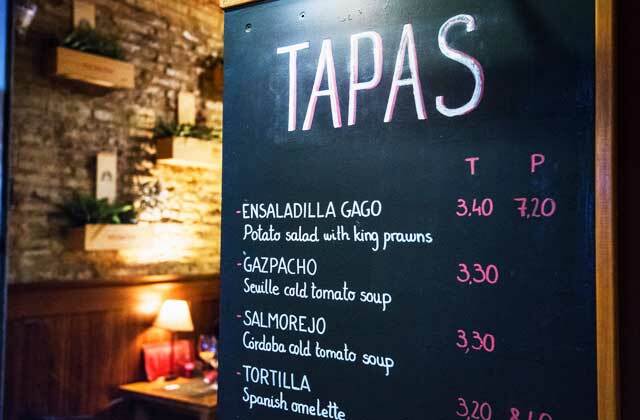 Although you can do it also in a more comfortable way, the normal when going out for tapas is to be standing at the counters of the bars, having a drink and a tapa (in fact there are many places that do not even have chairs). Since that first tapa that His Majesty Alfonso XIII was having, time has made this Spanish appetizer evolve. While at first the tapas were based mainly on sliced ham or cheese, now it’s processed foods that seduce the palates of the most discerning diners. There are a number of basic tapas that you can find in any establishment, and that you shouldn’t miss if you come to Spain. 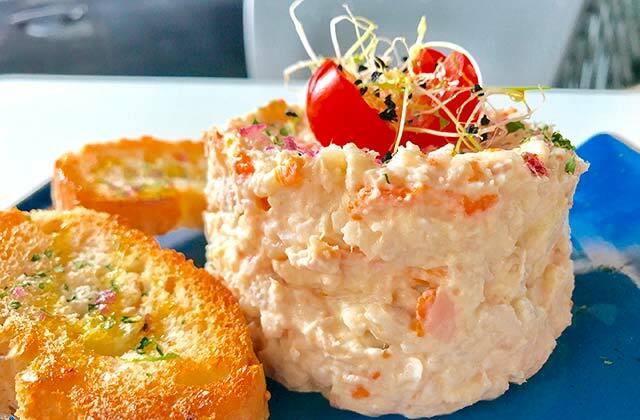 The Russian salad is one of the favorites of the Spanish people. This recipe based on boiled potatoes with tuna, corn and hardboiled egg mixed with mayonnaise, is the first that anyone asks for when going out for tapas. Another favorite par excellence is the one with croquettes. This portion of oval dough made with chopped ham and meat mixed with bechamel that is coated in egg and breadcrumbs and deep-fried, is an example of Mediterranean cuisine which is also done with the protagonism on a tapas day. But undoubtedly, what you cannot miss is a good pintxo (way of naming the tapas in northern Spain) of potato omelette. Something spongy with the egg setting at the right point cannot be lacking in our diet. The list is endless. The meatball tapas are also worth mentioning as well as the lean meat with tomatoes, anchovies in vinegar or the piquillo peppers. It is an immense world to discover that you cannot miss if you visit Spain. Andalucia, the birthplace of this special cuisine, is the place for you to try to “go out for tapas”. 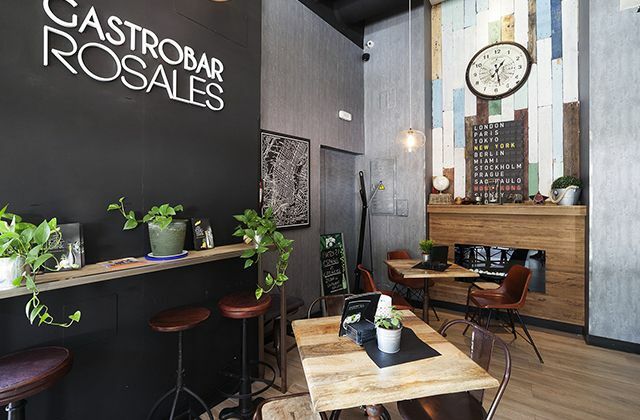 Gastrobars are the latest fashion in gastronomy, a local bar-restaurant with the usual essence, but with design, select produce and an informal offer based on reinvented tapas, signature tapas at affordable prices. 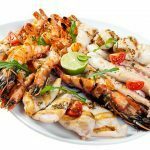 Several examples of these include the gastrobars 3C and Lekune in Marbella, Gastronauta in Malaga and Strazza in Conil. They all offers snacks, but with a more modern touch and, best of all, excellent quality at a price you won’t believe. Ultimately, gastrobars are an excellent option for trying signature tapas or tasting traditional produce of the highest quality. To go out for tapas, there is nothing better than to travel to Andalucia, and if you do, do not hesitate to stay in establishments of quality. 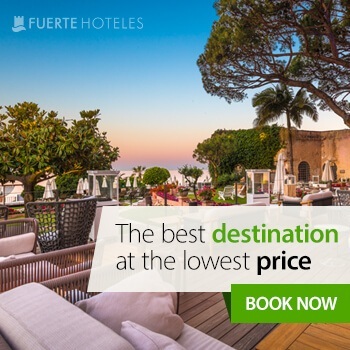 If you come to the South of Spain, do not hesitate to stay in Fuerte Hoteles. The chain has establishments where you will be able to enjoy, in addition to its services, the best of each point of the Andalucian geography and of its gastronomy. More than 50 years’ experience is the best guarantee. 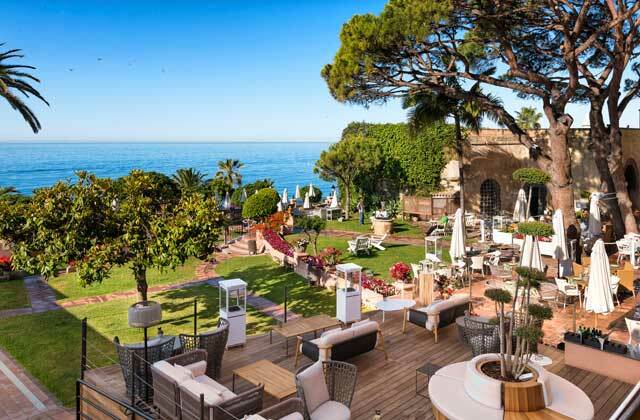 Marbella, Conil, Grazalema, El Rompido, Estepona or Torrox are some of the enclaves where you can find these amazing accommodations.